I’m sure most of us would like to have a little more money in our pockets at the end of the week. 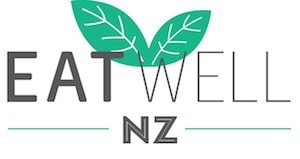 Given the fact that groceries and power consumption in the kitchen make up a fairly decent chunk of money each week, making some changes can really help to reduce costs and free up money for fun things! Here are my top tips on saving plus how you can get $150 free power! Read on! This idea didn’t use to excite me much, but I’ve discovered there are lots of meat free meals that are really economical to make and also quite delicious. Because meat tends to be one of the bigger expenses in the grocery shopping, a meat free meal is beneficial for your grocery bill and helps increase your dietary variety too, especially if you use legumes. Legumes include things like lentils, kidney beans and chickpeas and there are lots of delicious ways to use these. 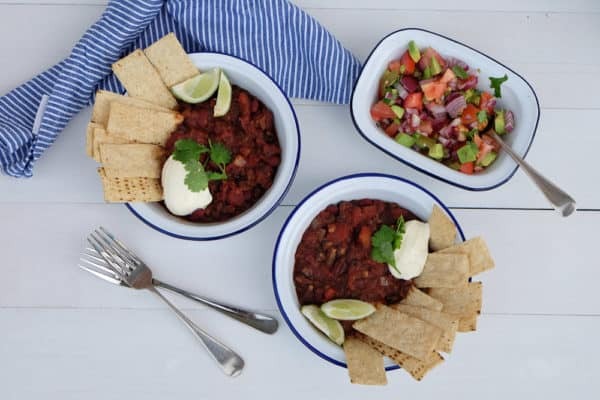 My favourites include vegetarian nachos or tacos using kidney beans; lentil dahl or chickpea and pumpkin curry. 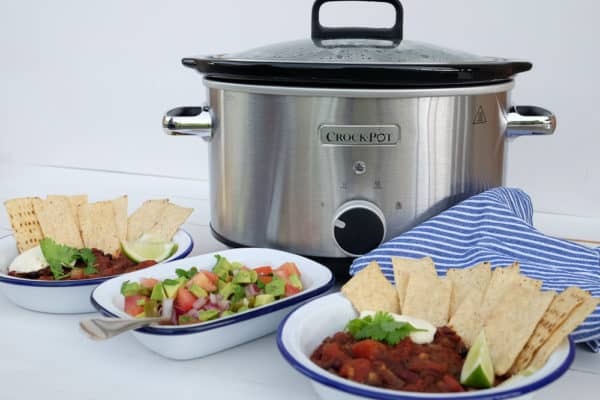 Slow cookers are all round money savers. Slow cookers use significantly less power than a standard oven plus they turn tough, cheap cuts of meats into melt in your mouth deliciousness. My favourite part of the slow cooker though is when you walk through the door after work you are greeted by the delicious smell of dinner that’s pretty much done. 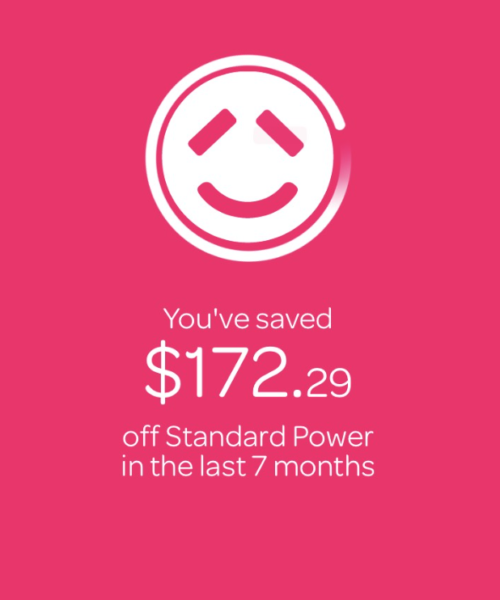 Now that’s pretty good savings – and this is on top of the savings made from swapping to Powershop! All those kitchen appliances use power – so why not make a big dent in your overall budget and switch to Powershop? This is where you can really save money. Like lots of money! I’ve always shopped around for power because it’s so easy to change and why wouldn’t you want to pay less for something? So in October last year, I made the switch to Powershop and I’ve never looked back. I live in the Wairarapa, where power prices are pretty high compared to other parts of the country. Plus my husbands love for technology means we have pretty big power bills. With Powershop, I have definitely noticed the difference in our power bills. Looking back, our bills have been around $20-$40 less a month compared to our last provider. 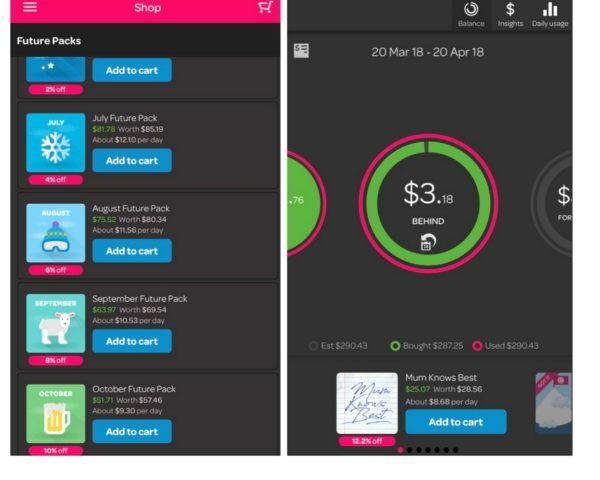 I’ve switched through a number of power companies over the past few years and Powershop is definitely my fave in terms of cost saving and functionality thanks to their mobile app and Powerpacks. 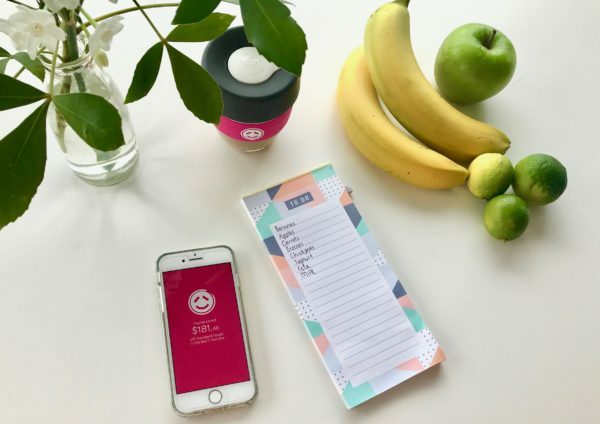 Their app is simple to use and really puts you in control of your power – you can pay weekly, fortnightly, monthly – whatever day, whatever time you want. Plus you can monitor your power usage. Because you can buy power as you go, there’s no surprises and no giant scary power bill at the end of the month. Future packs are great for getting discounts and buying for winter when you use more power and the bill is more expensive. Powerpacks are the way you buy power through Powershop. There is a variety of power packs that you can purchase – Top Up Packs give you immediate power to use, Future Packs have an amazing discounts to use at a later date (perfect for buying ahead for winter) and Special Packs are extra specials throughout the month that allow you to save too (like the Mum Knows Best power pack pictured above). So if you’re like me and you love a bargain, you’ll love it when you get the monthly specials that can save you a good percentage on power. It’s not quite as fun as buying clothes on sale, but still, saving money feels good! Switching power companies is super easy too – just ring them or fill out a simple form. If you join Powershop with my special link you’ll get $150 of FREE power!! Now that’s super handy for winter. AND you’re guaranteed to save money by switching to Powershop. There’s nothing to lose. Find out more here or click here to sign up for free power. This has taken me a while to get into but making enough dinner for two meals is a great way to save time and money. That way you can simply reheat dinner the next night and save on power costs, or use the leftovers for lunch instead of buying it. I usually do this on a Sunday night and it makes Monday’s so much easier. Some of the best things are lasagne and casseroles as they always taste even better the next day. I have an on again off again relationship with meal planning, but planning your meals (including stuff for lunches) really does help you save money. A good way to do it is to check the specials for the week (you can look at the flyers online) and decide what you’re going to have for lunches and dinners. Check what essentials you already have, then write down what else you need and shop away. As well as saving money, it makes life much easier too! 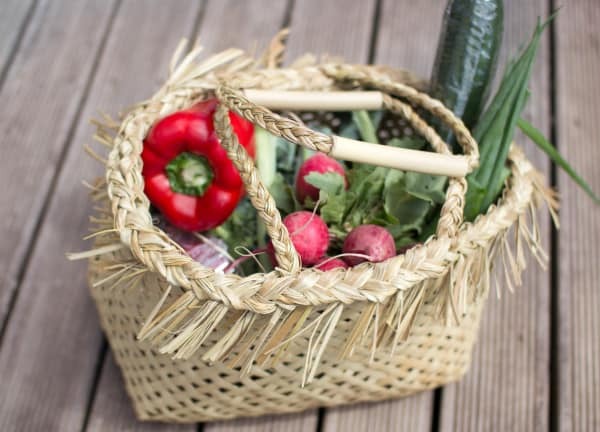 If you have a local market, or fruit and vegetable store, you might find that you can get fruit, vegetables and even free range eggs there at a cheaper price. Our local Sunday market sells honey for $5 a jar, free range eggs for $5 a dozen and fruit and vegetable prices are always cheaper than the supermarket too. Some supermarkets also sell the ‘outcasts’ – Countdown have ‘The Odd Bunch’ vegetables and fruit which are quite a bit cheaper than the pretty looking ones! A 1.5kg of carrots was $2 whereas at the standard price they are $3. All those dollars add up pretty fast. I used to be terrible at wasting things like leftover stock, tomato paste, rice, salsa… Now I freeze them! I put leftover brown rice in resealable bags and freeze and use these for lunches and anything else that can be frozen I’ll usually freeze too. Most mornings supermarkets will have perishable products that are close to their use by date at reduced prices. Meat is one place where you can really save here – often they’re reduced by 25-50%. If you’re not going to use it straight away, write the date you bought it on the packet and freeze. That way you’ll know it needs to be used within a short time after you defrost it. Thanks for the tips Nicola and you finally made me get round to making the switch. So win win for both of us! You also inspired me to bake your feijoa loaf make a quiche for lunch with leftover roast veggies and cook lambshanks for the next nights dinner. It does make working life easier.